3000... 3000 of you, we can't believe it... we love you all. We hope you all know that. 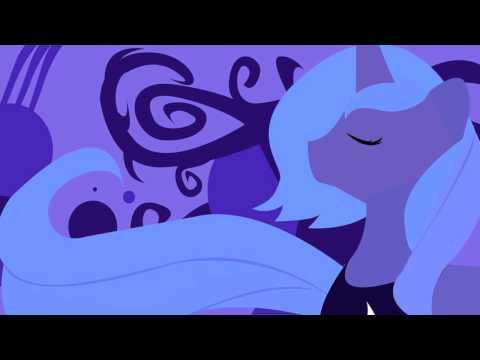 Anyway, here's the longest song we've ever done, you all heard previews of Luna and Celestia's themes on the preview video, what we kept a secret from you guys however is that they are joined together, it is actually one massive 8 minute song. Since Luna's character changed since we wrote this theme for her we've decided we are going to make this a theme for the two of them collectively and not separately, which means there are Luna and Celestia themes still on the way. Luna's part of the song was inspired by Nocturnes, a type of music which takes its inspiration from the night we decided to keep it serene and dark very much like the night and we hope its suits her character as well. It was also hugely inspired by the music from The Legend of Zelda game series. Celestia's part is inspired by (yep you guessed it) Aubades, a type of music that takes its inspiration from the day time and the sun, this part was mainly inspired by the rising sun in the early hours of the day as the moon begins to set. We also went for something sounding quite regal and angelic to befit a princess. We'll also upload the songs separately if you want them as two songs instead of the one, you know so you can trick your friends into thinking that you have one song more than them or something in order to establish your epicness lol.